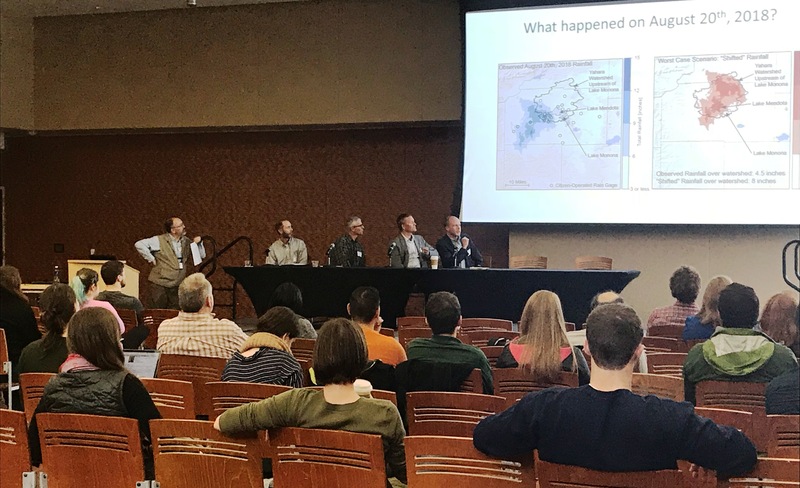 UW-Madison has a long and rich history in geospatial sciences, going back to early and internationally recognized programs in cartography, surveying, and photogrammetry. In more recent years additional strengths have developed in multi-purpose land information systems, remote sensing, geographic information systems, soil landscape modeling, citizen involvement in land use planning, geospatial metadata, and transportation infrastructure modeling. Many leaders of professional associations in these fields have UW-Madison roots. Degree programs involving GIS, along with research and outreach, are mainstays of several departments and colleges, supported by a series of centers. Beyond these traditional fields, additional interest areas exist in disciplines as diverse as library science, land tenure, statistics, forestry, business, regional planning, art history, demography, and epidemiology. 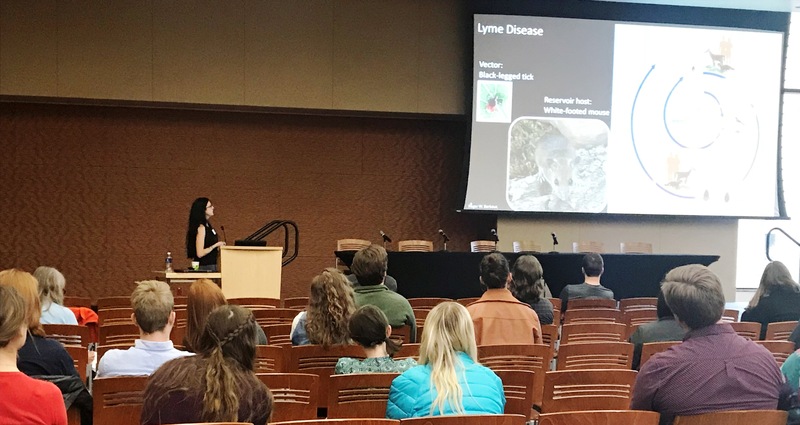 The Summit concluded with a keynote presentation by Prof. Lynnette Dornak, of the Geography Department at UW-Platteville, that focused on the impacts of climate change on Lyme disease risk in North America. 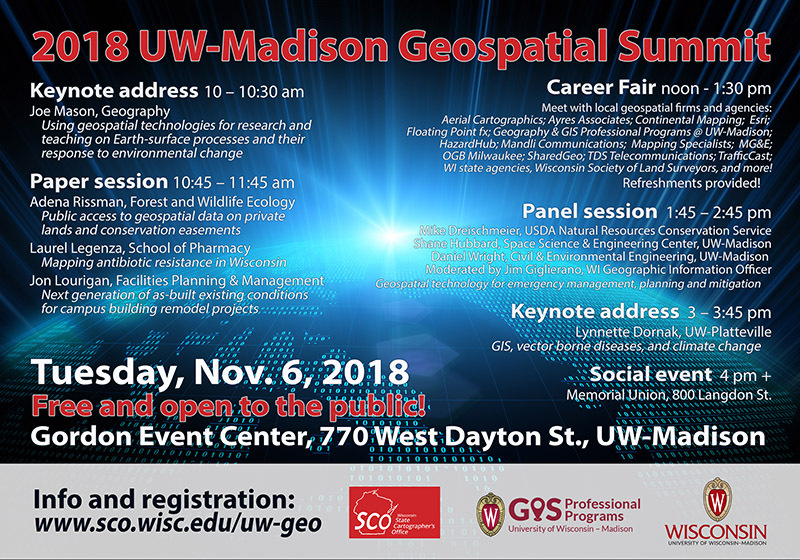 Mark your calendar for the 2018 UW-Madison Geospatial Summit on Tuesday, November 6th! 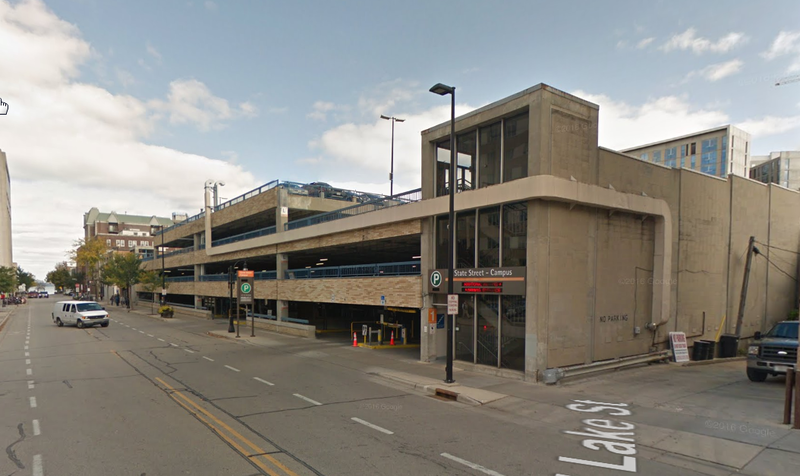 This event will be held in the Symphony Room at the Gordon Dining and Event Center, 770 W. Dayton St. in Madison. 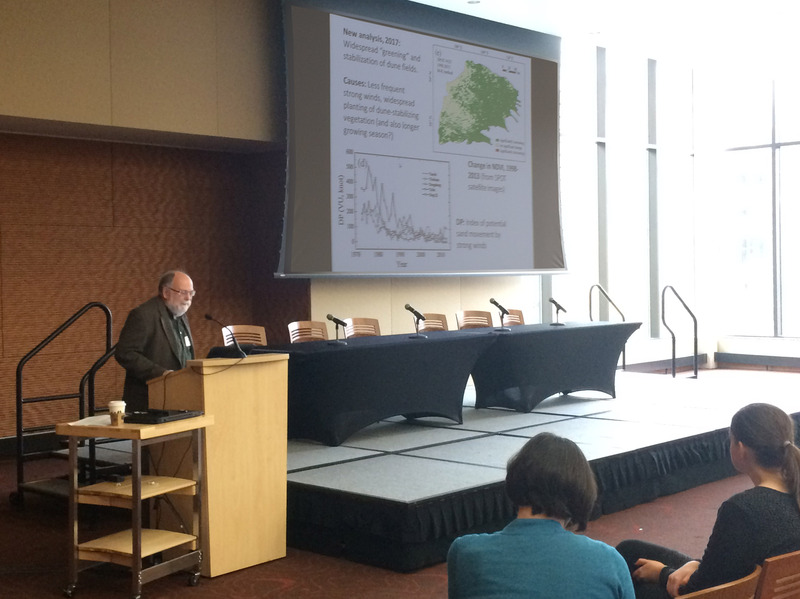 Highlights of the 2017 Summit: The 2017 Geospatial Summit was held on April 26th at UW-Madison and attracted over 125 registrants. Attendees were from various UW system campuses, various government agencies, private companies, non-profits, the general public, as well as students, faculty, and staff. A GIS Professional Career Panel kicked off the event discussing their experiences and perspectives as geospatial professionals. 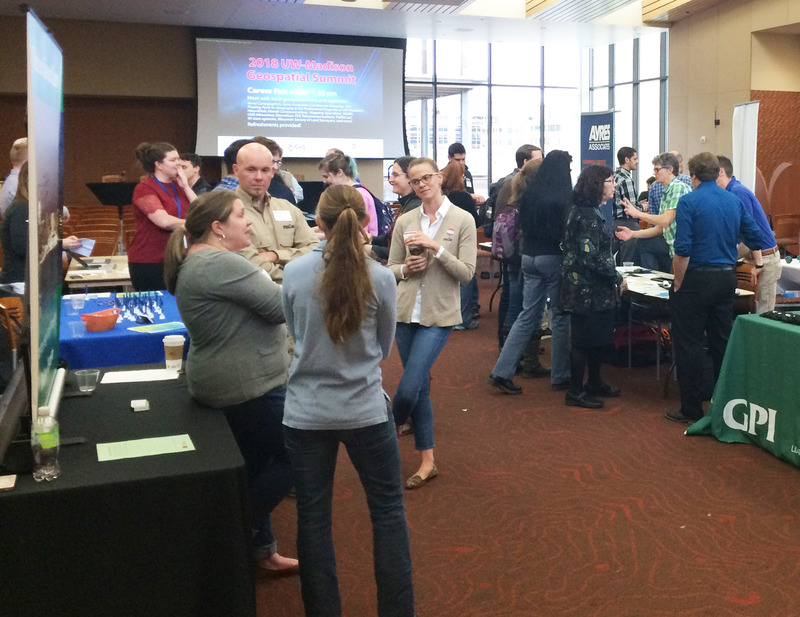 Representatives from 12 area employers participated in the Geospatial Careeer and Networking Fair where students and attendees learned how they can maximize their opportunities as they think toward the future. 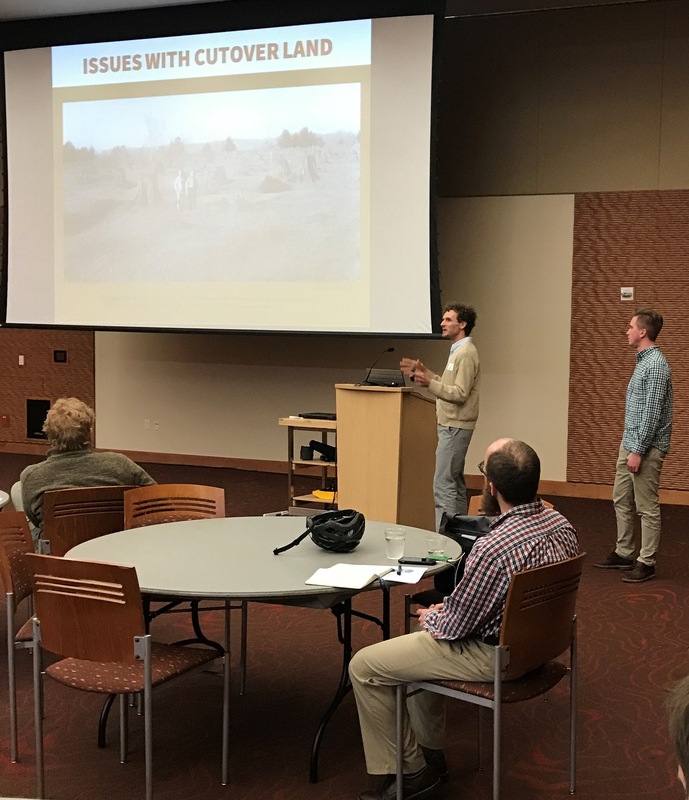 The afternoon had fifteen research presentations by a diverse group of speakers and concluded with a keynote presentation. We maintain an email distribution list which is open to anyone interested in geospatial technology and applications on the UW-Madison campus. The list is for posting news, coordinating events, starting discussions, etc. 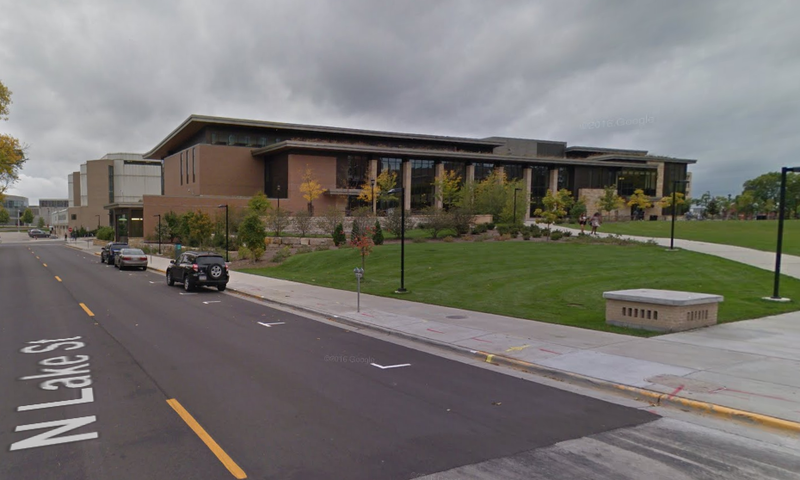 UW-Madison does not have a physical GIS “helpdesk” for answering technical questions regarding GIS software and procedures. There are, however, several ways to get basic assistance. For GIS software support, you can send questions to our campus GIS tech support list. A team of volunteers will be happy to help! Contact the Map Library via e-mail, or contact Jaime Martindale directly at (608) 262-1471. The Esri Academy includes many training modules, for both new and experienced Esri software users. We have a site license for free access to many of these. Please contact Math Heinzel for more information. The Land Information and Computer Graphics Facility offers regular workshops, primarily on ESRI software. They also offer student and staff discounts for their Instructor-led classes.